Stress is what your body/mind does to adapt to change. Our bodies evolved in environments where responding to change usually involves some amount of muscular action, like to run away from a tiger (muscles spring tighter to take action, eyes focus, heart rate increases), and the mode of your nervous system called the sympathetic mode is utilized. A lot of our stress in modern culture is mental or emotional, but stress still needs to be resolved through our bodies via the nervous system. When stress isn’t physically resolved, it results in distress. Distress is sustained stress that you can’t resolve. Distress goes through stages of alarm, resistance, and exhaustion. This is bad stress. This unresolved stress builds up patterns of tension. 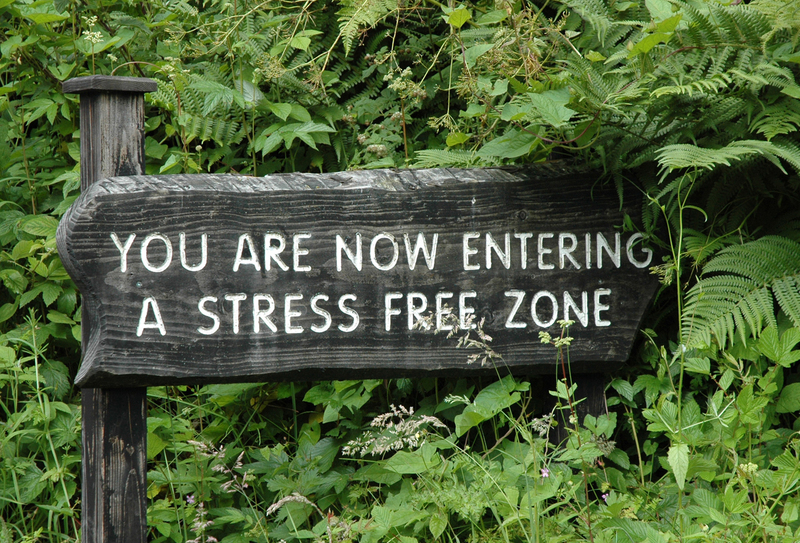 Eustress is resolved stress. It is the result of successful adaptation to challenge and change, which includes physical release of the stress. This release build resilience in your nervous system. Danette Adams, who teaches meditation at QSY, says “resilience is the art of the elegant rebound.” I love that idea. When we can have a springiness- physically, mentally and emotionally- we are able to adapt and respond, and resolve stress. A healthy oscillation of parasympathetic and sympathetic would result in a ratio of 7:1 (according to Myers). Through sedentary but demanding workplace environments, busy schedules, endless screen time, the alarmist tone of much media reporting, the lack of good sleep routines, etc, many of us are operating in sympathetic mode much more than that. The impacts of all of this unresolved stress can be substantial for the body: lower digestive function, dehydration of tissues and lack of blood flow to repair tissues and nourish organs, lower organ function, hormonal disruption, constant muscle tension, decreased breath capacity, and increased stress on the heart. Through yoga, particularly restorative yoga practice, and complementary therapies like acupuncture and massage therapy, we can help the nervous resolve stresses more effectively. 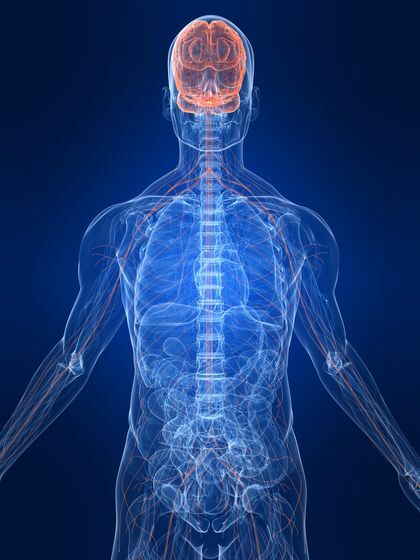 With these methods, we intentionally help to shift the nervous system toward deeper and deeper levels of the parasympathetic state. Many students who attend our Rest & Renew classes report that after practice, they have reduced muscle tension, less headaches, less anxiety, and better sleep. Judith Hanson Lasater, a major teacher, author, and proponent of Restorative Yoga, tells of working with a of a teenage girl who suffered from severe ADHA and insomnia. This young woman hadn’t slept soundly through the night for over a decade. After just a few restorative yoga classes, and learning to regularly incorporating one or two restorative poses after she got home from school and again before bedtime, she was able to improve her success at school and sleep soundly through the night regularly. You can listen to a great interview with Lasater here. We’ve offered several Rest & Renew (Restorative Yoga) classes each week for the past few years, and many have also benefitted from treatments with our massage therapists. We are excited to expand our self-care offerings, in an affordable way, by offering Community Acupuncture with Registered Acupuncturist Nir Saar. Nir uses hair-thin, single use, sterile needles, and I can attest that his approach is very caring and gentle. If you’ve never had acupuncture before, it is nothing like getting a shot at the doctor, it really doesn’t hurt! 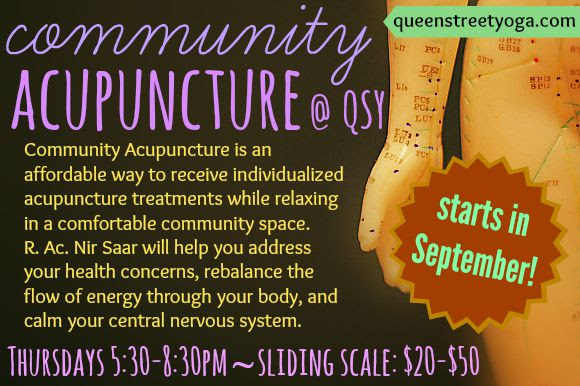 Community Acupuncture will run weekly on Thursdays from 5:30-8:30pm, starting in September. Appointments will take place in a quiet, relaxing group setting in our beautiful studio. Each appointment runs about 45 minutes, and while you rest with your acupuncture needles doing their work, Nir will quietly treat the next client, and then come back to you to check in and remove your needles. Community Acupuncture fees are sliding scale ($20-50), so you can pay according to what with fits your budget. Also, check if your insurance covers Acupuncture, many companies do! 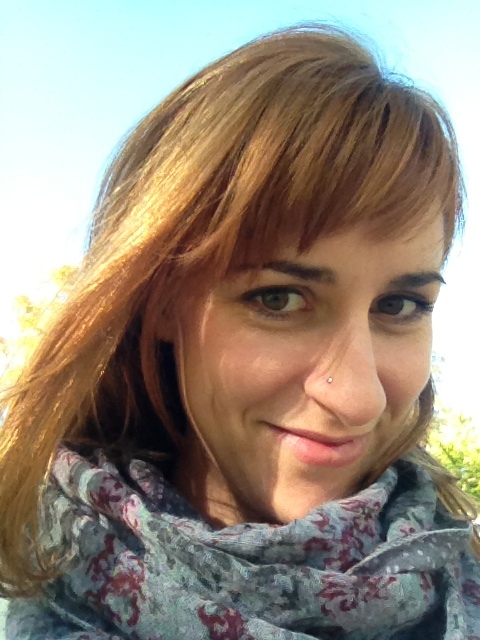 You can read more about Nir and Community Acupuncture and book a treatment online here. 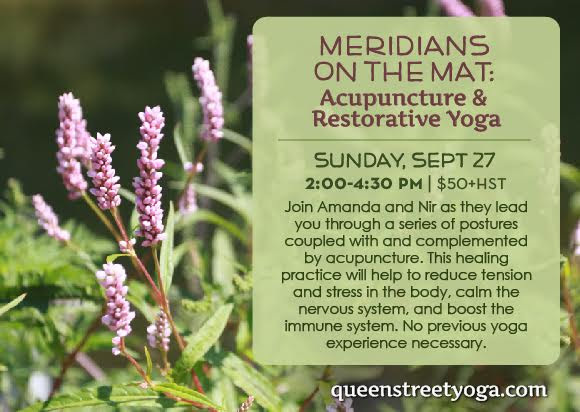 We’re also excited to have Amanda Soikie and Nir team up to co-lead a workshop on Restorative Yoga and Acupuncture, “Meridians on the Mat,” coming up on Sunday, September 27.